At Taberu Pte Ltd, we believe in reminiscing the good ol’ days with a slice of freshly baked egg sponge cake, or "ji dan gao 鸡蛋糕" as most of us fondly remember it. We have franchised the brand from the team behind Ah Mah Traditional Egg Sponge Cake which brings tradition back to our modern palates, (re)creating the simple pleasures of chomping down on one of our favorite childhood snacks. There are no additives, preservatives, nor artificial colorings; just fresh and simple ingredients. 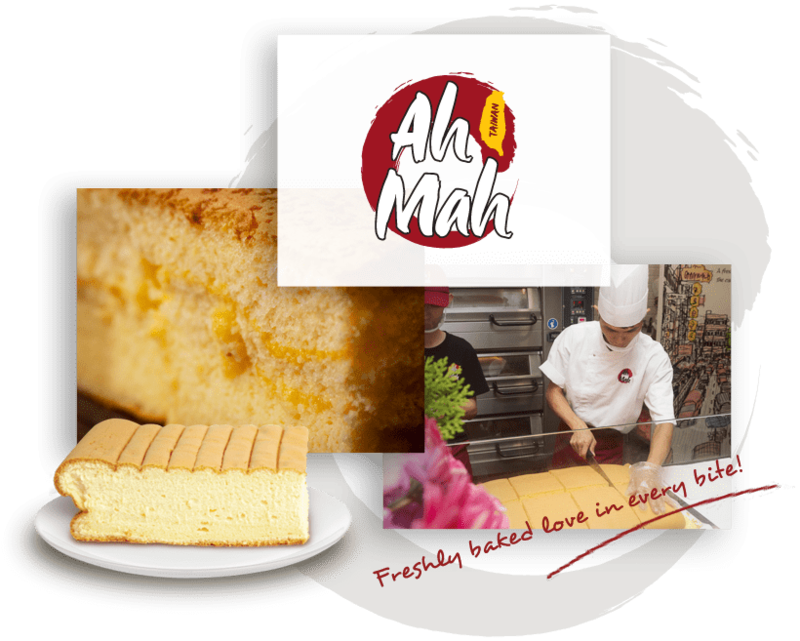 Each and every egg sponge cake that comes out from the ovens of Ah Mah Traditional Egg Sponge Cake is soft and fluffy, with aroma of freshly baked cake from our shop. This smell is simply a prelude to the delicious, melt-in-your-mouth experience once you sink your teeth into the cake itself. One slice is usually not enough. Each egg sponge cakes come in portions good for sharing among your loved ones and are delicious both warm and freshly out of the oven or chilled in the refrigerator. Either way, they are definitely a treat for any and every occasion.